If you have been in the skiing world for any length of time, you will more than probably be aware of Volkl Mantra skis 2015. They have been on the market for a number of years and still fly off the shelves. The original ski has been updated to ensure the Volkls remain at the forefront of ski technology. 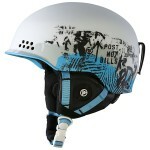 The Mantras are wide all-mountain skis and will fly on or off the piste! 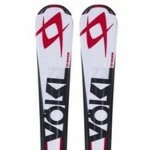 Volkl have earned the trust of an inordinate number of skiers due to the Mantra’s quality, durability, and sheer playfulness. They may be the perfect ski for you if your skill set is advanced. The Mantras have a side cut of 132mm (at the tip), 98mm (underfoot) and 118mm (at the tail), making them ideal for any snow conditions. 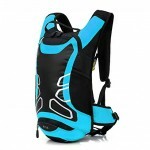 They are wide enough to distribute any skier’s weight effectively, allowing them to float over almost any crud. 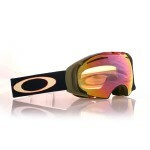 Conversely, they are narrow enough at the waist to feel like a race ski. With a 25.8m radius, the Mantras differ from an orthodox Slalom ski, but they can be forced into short-radius turns, optimally skiing in a GS-radius turn (medium-large). 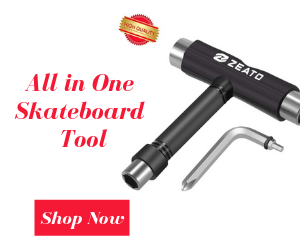 The Mantras have a full wood core with two sheets of metal. The metal sheets add weight and stiffness to the ski, allowing any advanced skier to manipulate it to accelerate through turns. Furthermore, the core design of the Mantras encourage stability, they are able to hold even the heaviest skiers on the steepest runs. The Mantras, unlike a lot of their all-mountain counterparts, have full sidewalls. 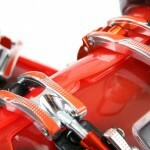 This works partners with the weighty core to improve the stability of the ski. The inclusion of sidewalls means the Mantras are grippy and fast. I have skied on these skis for a number of days, but was unable to discover their speed and angulation limit! The Mantras are, secretly, a race ski hidden behind the façade of an all-mountain wide ski. The dual metal sheets and sidewalls make the ski surprising similar, in construct, to a GS ski. The Mantras have definitely been profoundly influenced by the team of ex-German racers, who designed the ski. They have a box tail with a slight flare. This, although seemingly insignificant, has a profound impact on performance. 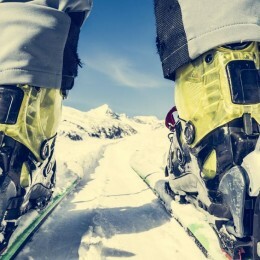 It allows the skis to gently release from turns, minimizing the amount of speed lost by kicking out your tails and spraying snow –very race-like. The tail also gives the ski more power and grip to drive through any turn. The Mantras are a very stiff ski and can be detrimental to those who believe these skis are purely designed for playing on the mountain, they are able to be worked, and worked hard, by any advanced skier. However, the Mantras deviate from the orthodoxy of race skis with their tip rocker. 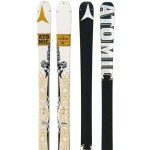 The rocker in these skis improves turn imitation and prevents the tip getting bogged down in powder. This, when combined with the racing/powder ski contracts is mind boggling and explains how this ski is so loved. 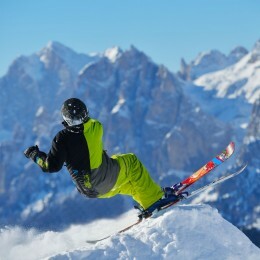 It will do everything for everyone (only advanced skiers) – whether bombing down a race course or playing in the powder! The Mantras have become a reputable force in the ski world. 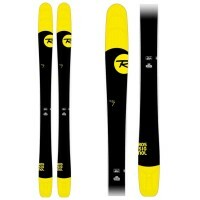 They have come to be known as a reliable and durable ski that will handle any conditions. The side cut of the ski allows them to be forced into slalom turns, although they ski best in a GS-radius. The Mantras will really drive throughout a turn if the skier on them is capable. 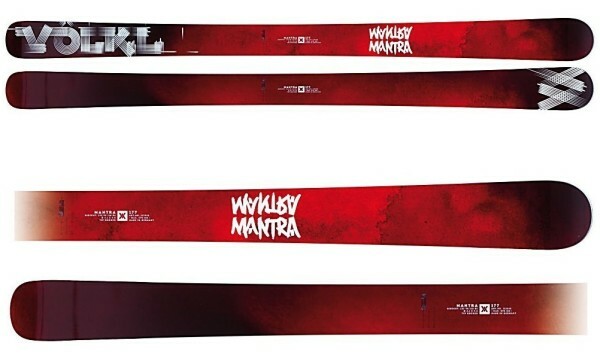 Volkl Mantra skis are the industry standard’s medium between powder and carving skis. 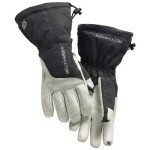 Although they are at their best off-piste, they are more than able to handle any softer stuff you can throw at them. 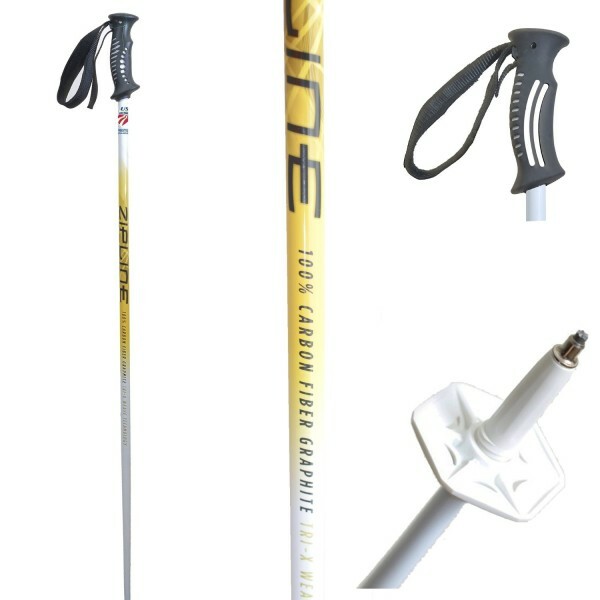 This ski is just a dimmed down race ski and is perfect for those who have become too old for racing and desire a ski that will carry them everywhere on the mountain–without falling into the trap of skiing on clown shoes (beginner to intermediate level ski). 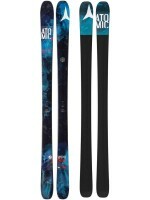 Overall, I love these skis and I think I have found a new favorite all-mountain ski!